Diet delivery programs make a lot of sense if used correctly. They take out all of the guesswork and preparation, and much of the cleanup. Most people find that they can stick to a diet as long as they just have to eat the food. Here is our exhaustive list of programs for your browsing pleasure. We’ve recommended our two favorites, and broken the rest down by where they deliver, but in no particular order. Bon Appétit! This is one of the most popular diet delivery programs out there, and it’s not too hard to see why. A wide variety of menu options, reasonable prices, and nationwide delivery makes this an easy-to-follow system for many. Recommended items to try: Gulf Rock Shrimp Primavera and Pineapple Teriyaki Meatloaf. With your choice of daily calorie intake and a diverse range of foods, it’s no wonder that Diet-to-Go is the choice of many dieters. In some areas you can pick up the food directly, but they also offer delivery across the country. Be sure to try their Mexican Pizza and Whole Wheat Monte Cristo sandwich. This delivery service is only good if you live in the LA area, but it’s worth checking out. We recommend the weight loss plan if that’s your goal . The Foodery is a Boston-based meal delivery service that specializes in delivering fresh, healthy and scratch-made meals using local ingredients. They’ve got this set up so you can order two or four week packages, so you lose a little bit of the customization that other plans provide. This is more for serious weight loss, and the food has been criticized as being on the bland side, and not fresh, but if you’ve got a lot of weight to lose it may provide faster results. One thing that many delivery programs share is preservatives and additives to make the food last longer and taste better. But HCC uses organic ingredients whenever possible and says they’re committed to quality. Pricier than most, you’re supposed to be getting gourmet food to your door. The array of menus here is quite impressive, with the ability to select meals specifically tailored for diabetics, seniors, men, and those watching their sodium intake. With the ability to mix and match individual meal items, the possibilities here can keep you interested for quite some time. One of the most heavily advertised diet delivery packages, they have their share of celebrities pitching their food. Plans are separated by gender to account for the caloric difference, and they also provide a diabetic and vegetarian plans. This is one program for the cost-conscious dieter, with programs starting at $9 a day. This Miama-based food delivery service features high-protein and low-carb plans to fuel your weight loss. IONutrition is a nationwide organic meal delivery service designed for active lifestyles. This program relies heavily on whole grains, so you might not want to go with this if your body doesn’t respond well to them or if you’re following a gluten-free diet. They don’t include things like growth hormones and antibiotics in their foods, which is nice, and at $20 it provides a good value for the dollar. Purple Carrot is a plant-based meal delivery service to help you make the transition from meat-based to vegan. Provides meals based on the HCG Diet, as well as 1200 calorie programs, and you can order your meals one at a time, making it very customizable, but some might like more of a structured plan where you are getting a kit rather than having to construct your own weekly menu. This is another program going the gourmet route. These gourmet delivery programs are in response to complaints of less expensive national programs sending food that doesn’t quite deliver on taste. They start with a phone consultation so you get personal recommendations on what menu to go with. Nice touch! This is a way to do the Jenny Craig program from home, without having to visit the office. They give you a consultant to help counsel you into better shape, and then deliver their pre-made pre-approved meals to your door. With foods that make it seem like you’re not on a diet, this is worth checking out if you’ve ever wanted to get on the Jenny program. Standing for Zero Effort Nutrition this is a California-based delivery program that focuses on using fresh, high-quality ingredients. They say their diet meals will give you more energy, give you more focus, contain several antioxidants, and will help you stay within your caloric boundaries. You can keep kosher, go vegetarian, keep your glucose levels in check, and more depending on which program you choose. They’ll likely grow to be a nationwide service, but right now they’re only available in select markets, so you’ll have to enter your zip to see if it’s an option. Servicing the San Francisco bay area you can detox your body or maintain your current state of health with their menu items. They focus on sustainability, using organic ingredients and offering gluten-free fare as well. Available in the Los Angeles and Phoenix areas, you can feed yourself or your entire family with their different meal plans. They have it worked out so you can order customized meals, all made with fresh ingredients, and they deliver daily so you don’t have to worry about storing large quantities of preservative-packed food. Serving the New York area, they’ll deliver your food nightly for the following day, making sure you’re ready to go first thing in the morning. And they’ve got you covered with all three meals for the day, plus healthy and sweet snacks to keep you satisfied. This is for the Southern California crowd and consists of low-carb meals that hit your doorstep by 6am so you don’t have to worry when your next meal will arrive. All that’s required is to find out if a low-carb diet is right for you, since these diets have undergone some criticism in regards to effectiveness and long term sustainability. If you’re in the Miami-Dade area you will want to try out The Primal Plan, a way to take things back to the time when foods weren’t full of sugar. They also cut out grains, pasta, and other harvested items, so you’re getting back to the basics of early human civilization. Chicagoans this plan is for you. They deliver a variety of menu items, and it’s all broken down by item, so you can pick and choose what you want. They also have snacks and sides to complete your meals and daily menu. Prices vary depending on how many calories you plan on consuming daily. They have many different levels to choose from, and you can pick whether you want just dinner, breakfast and dinner, lunch and dinner, or all three of them. This should cover just about every dieting need. With several areas being served across the country, you’ll have to check to see if you’re covered. By letting you choose between entering your calories and letting them decide what you eat, or calling all the shots and picking what you want to eat specifically, they’re making this fun to order. Servicing much of California this is one diet food delivery program that deserves a trial run. They say they serve the South Florida region, and that they can cater to a wide array of conditions so that you can be sure you’re eating right. This includes issues with gout, diabetes, hypertension, gluten sensitivity and more. They can also work with food allergies, since this is a smaller-scale service. If you live in Los Angeles you’re spoiled for choice when it comes to diet delivery options. Here is yet another company that promises delicious, gourmet-caliber meals that allow you to stick to your diet goals. They have plans for vegetarians, as well as seniors and it’s all personalized to your specific needs. Lots of choices here, especially if you’re an athlete, following the Paleo Diet, or are wanting to go vegetarian. They send food out to several locations across Florida, so you’ll have to check to see if your area is in their coverage zone. Sending food out to the San Diego area, Charlie’s has that mom and pop feel to it, and can feed your entire family, or just you with 1200, 1500, or 1800 calorie meal plans. Their meal plans give you the three squares per day, and they give you a list of suggested snacks to fill in the rest. The Miami area is lush with diet delivery programs, and the Bocasa program offers lunches and dinners. They never freeze their foods, so you don’t have to worry about losing the flavors that make it gourmet. They have lunches that won’t drag you down, and dinners that will make you glad the workday is over. This is for the Chicago area and has a few different programs depending on what you’re after. You can opt for a low-calorie, low-carb, high-protein, or vegetarian plan to suit your specific dieting strategy. You can also decide on your calorie count, with 1000, 1200, 1600, and 2000 calorie plans available. Serving Houston as well as additional areas, they claim you can get all of your meals plus a snack at $27 a day. With Belgian Waffles and Cheese Blintzes you might not really feel like you’re eating diet food, but they say that their meals are fit as well as tasty, and all of the nutrition information is broken down for each item. This is for those living in Arizona, and this is focused more on those that plan on being very active during their weight loss efforts. They have plans that can help you build up your muscle tone, and also one that is geared more towards overall weight loss and not so much fitness. Serving the Denver area, you’ll have three meals plus a snack and dessert all delivered fresh to you. They say their meals are ideal for those wanting to lose weight, recovering from surgery, or new moms that have a lot on their plate already and can’t find the time or energy to shop and cook meals as well. If you’ve always wanted to eat a Mediterranean diet, but didn’t know where to start or exactly how it would look, this is a great service to try out. The Boston area gets the fastest service, but they’re also able to ship to much of the midwest via UPS, so double-check to see if you’re in their map. Atlanta-ites this is a plan to try out. They have chef-prepared gourmet meals that will still help you lose weight, and you can select how many meals you’d like to eat each day, and how many times per week you want to leave the cooking up to them. You also have the ability to exclude certain types of meat, or all meat and go vegetarian. Serving the state of Ohio their program caters more to Seniors that sometimes have trouble making sure their nutritional needs are met, and find it a bit daunting to have to shop for, prepare, and clean up after three meals a day. The Detroit area isn’t left out of the diet delivery fun, with Gourmet Everyday. Not only do they let you choose how much food you want to receive for each day, but they let you make your own plan, and give you access to their online diet tracking program and lifestyle monitors. They are really going the extra mile to help you get and stay fit. They can deliver to much of the western part of the United States, including all of the states along the west coast. They have Paleo and Zone meals and can help provide meals to those doing CrossFit. The nice thing is that they use local ingredients whenever possible, and they also have gluten-free plans available. This is for those living in Connecticut, and provides Paleo-approved foods, as well as Zone Diet meal plans. You can choose between one, two, or three meals per day, and they also have snacks available so you can fill in the gaps, or refuel after training. Talk about blending exercise with diet, this company delivers your food right to the CrossFit gym in the DC, Maryland, and Virginia areas. This gives you extra motivation to get to the gym so you can get your food. The meals are all supposed to fall in line with your training regimen, giving you the extra energy for an intense workout, and helping you recover and build lean muscle. Based out of Miami, they have Paleo options, and you can get your food delivered to a number of different locations, including your office, the gym, or a CrossFit training facility. They say they’re committed to not adding preservatives and extra fillers, and they cook the food in healthy oils. Serving the Charlotte area, the main lure here is that you’re getting Paleo foods that are delivered right to you. This can help you learn how to cook Paleo cuisine for yourself, or you can continue to rely on them if you find it too convenient. With several service areas across the country, Patti Jayne is trying to bring raw foods to as many people as possible. If you’ve wanted to try a raw food diet but were put off by how to make meals out of uncooked foods, this will take away the guesswork and show you the possibilities. You can follow an HCG diet with them, or you can go low carb. This is specifically for those in the Houston area, and you can also pick up the food if that is more convenient for you. LA and Orange County residents can enjoy foods that won’t weigh you down, and by all scientific studies are shown to help you live a long and active life. These are organic and vegan, as well as alkaline and gluten free. In addition to helping you be healthy, it’s just good for the planet. 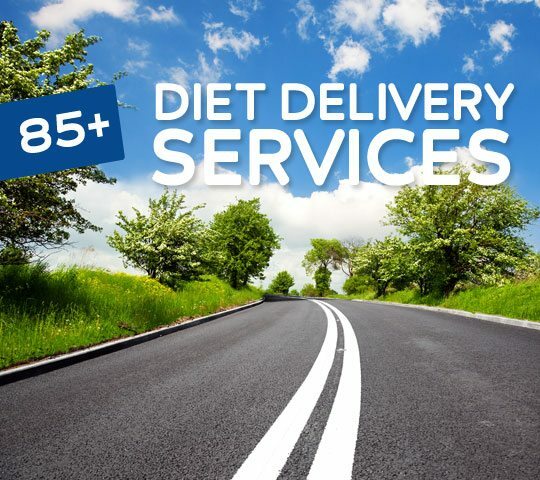 Kansas City, Kansas is the region served by this diet food delivery program. You can choose how many meals you want per day, and they can even send you enough to feed your entire family so can have a nice family meal, sans all the cooking and cleaning, and without the staggering price of going out. These are wholesome, organic meals that you’d prepare for yourself if you had the time. The menu includes things like Blackened Chicken Caesar Salad and Mediterranean Turkey Meatloaf. The only problem is they only serve the Santa Barbara area, which isn’t a problem if you live there! St. Louis wraps up our tour and this is one service that you can either pick up in person, or have delivered to you for added convenience. Their menu system is a little confusing at first glance, but worth the time to decipher with Casablanca Couscous and Sombrero Soup as some options. They’ll custom-create a meal plan for you, and deliver it as well in the Vancouver, Calgary, and Toronto areas. They are willing to cater to just about any diet program you’re on, so it’s worth getting in touch with them to see what they can do for you. They say that all of their food remains fresh, and that they don’t freeze it, so you won’t get that frozen dinner feeling. You get 3 meals plus 2 snacks on their plan, so you shouldn’t go hungry. They deliver Canada-wide and say they’re the #1 program in the country. After filling out a brief questionnaire to assess your diet goals, they recommend a program to you. They offer live help to address and questions you might have, and deliver all across Canada. With three meals, two snacks, and a dessert, they keep you well-fed. You order the meals singly here, and they include all of the nutrition information you need to make a decision, but those looking for a pre-approved program might want to try one of the above options. They have an answering service whereby their chef will answer your questions, but most prefer having the meal plan set in advance. These guys offer a lot of different programs, and can help you out if you’re struggling to make your own meals on the Dukan Diet, a Mediterranean-style diet, or you’re looking to eat more Superfoods, or foods that rank low on the Glycemic Index. They cater to the London area as well as offering delivery to the entire UK. Based in France you can choose your own diet program, or complete an assessment and have them choose your meal plan for you. They will ship to whichever location is more convenient for you, the home or office, and have it broken down by calories. Plans start at 75 euros a week. This is a way to cleanse your body as you embark on a weight loss program, or as part of quarterly cleansing routine. They have different juice fasts that you can use for weight loss, and they also have meal programs that they’ll deliver to the London area. Servicing the United Kingdom, you can choose between programs that will help you lose weight, have more energy, or get stronger. The food is delivered to your door and they make it easy enough to try them out with a two-day sampler package. They bring fresh meals to the London area and have plenty of different programs to choose from, depending on whether you want to lose weight, detox your body, are into fitness, want to think more clearly, or just had a baby and are breastfeeding. Learn new food combinations and meal ideas with their service to your door. This is another London-based plan that is customized to you, and takes into consideration your personal attributes, tastes, preferences, and goals. They’re able to provide all three of your main meals of the day, plus two snacks interspersed at times when you’re most likely to cheat. They break their meal plans down by gender and from there let you drill down even further into things like gluten-free, halal, raw, and other variations. They serve the London area and promise that your taste buds won’t even recognize that you’re on a diet. Incorporating the mind and body and providing support is the approach of Lighter Life. They send you what they call Foodpacks based on your specific program. They also offer counseling on how their method works. They service the United Kingdom. These programs all offer nationwide delivery, and can help you fill in the nutritional gaps that occur when you try to cook meals for yourself, and some even try to be weight loss programs in their own right. This is a pre-packaged option offering a variety of diet foods, including entrees, snacks, desserts, shakes, meal replacement bars, and more. You probably couldn’t or wouldn’t want to use this to replace all of your meals, but it can be used to supplement your dieting efforts. This is geared towards those that have a lot of weight to lose, and need to take some drastic action to avoid big health complications later. They assess your specific situation and then put you on a meal replacement program which includes shakes and other supplements. Be sure they give you an exit plan so you’ll know how to re-enter normal foods. This is a series of meal replacement shakes with the claim that you can lose up to 10 pounds in just 2 weeks. Be careful with programs like this because while you may lose the weight, you stand a good chance of gaining it right back when you start eating more solid foods. They provide pre-packaged cookies, bars, shakes, and gluten-free goodies so you have something to reach for when you start getting hungry before your next meal time. The focus seems to be on satisfying your sweet tooth, but they also have soups and cereals to round things out. They offer shakes, bars, soups, and other food items that are in line with their own branded diet plan. With your order they send you instructions on how to follow it, and it appears that you drink shakes, eat bars, and also eat a real meal daily, sort of like the Slim-Fast method. This is one provider you may want to keep an eye on. They have a very limited menu, but if they expanded it out they could be considered a diet delivery program. They say their meals are scientifically formulated to help you lose weight, and they’re delivered so it’s pretty convenient. These are meal replacement shakes from the BeachBody company that you may recognize as the makers of the P90X or Insanity fitness programs. The shakes are supposed to use high quality ingredients and serve as a substitute for one or two of your meals per day. If you always wondered what it would be like to eat cookies and lose weight, this might be your chance. It’s similar to programs where you swap out diet foods for regular meals, but still eat one balanced meal per day. In this case you’re eating cookies instead of drinking shakes. This was the product that brought meal replacement into the mainstream spotlight, with their tagline of having a shake for breakfast and lunch and then a sensible dinner. They’re still around, and it’s still possible to lose weight with the system, but you may want to consider a more long-term approach. They have different packages for the different genders, and you receive an assortment of products like shakes and puddings, diet bars and snacks, soups and cereals, as well as drinks. They make the case that they’re more economical and extensive than competing systems like Optifast and Medifast. I had no idea there were so many options! I’d only ever heard of Nutrisystem before. Thanks! I heard some great things about Bistro, ediets, and freshology. They say most of these foods the taste could use some improvement, but the three I mentioned are actually very good. In fact, I personally have tasted Bistro and I loved it. The only thing is, do they really help you lose weight? The only way to know, try them out for yourself I guess. I wonder what the cost would be like compared to cooking similar foods by yourself. I’d probably say a bit cheaper, but then you do have to consider the time spent on cooking and also cleaning up after eating. If I could replace all my meals with one of these programs, then I could potentially save 2 to 3 hours a day in cooking and cleaning after, so even by the time savings it may make sense to join one of these programs. Interesting. I rather eat homemade meals if possible, but cooking for one person just seems like too much waste of time and I think it might even cost more than just signing up for a service like this. 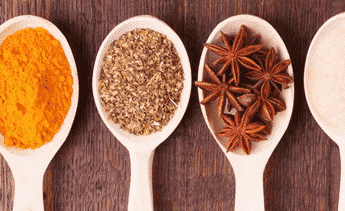 It’s very time consuming to do research on healthy ingredients, then finding the right recipe, shopping for the ingredients, and finally cooking them. Yeah, it makes perfect sense to pay for all them time consuming stuffs lol. A company called Magickitchen.com (www.magickitchen.com) has homemade style frozen meals you can buy, there’s no sign-up or anything, you just talk to them, try a meal or two, and if you like them, they’ll arrange to start shipping meals. Or you can just go online and order now and then and keep some in your freezer for when you’re strapped for time. Meals are great! You should add MagicKitchen.com, they have a whole line of meals that are portion controlled. I eat them for lunch and supper(I don’t like the breakfasts), and I’m doing great! You guys should consider adding http://www.freshnlean.com to your list of diet delivery programs. They have already been listed as a resource on vrg.org and have fantastic tasting food. Do any of these company provide catering for the GAP Diet? This company “Corporate Cuisine” offers San Francisco business delivery of gluten free snacks such as; rice chips, vegetable chips, bean chips, corn shacks, etc) as well as specializing in healthy drinks and snacks (low fat and sodium, low sugar, whole grain, fruit chews, etc.). The Fresh Diet company declared bankruptcy in July 2016. Clients who paid in advance for their meals are having to try to get a few cents on the dollar back through the bankruptcy court system. Buyer beware. Another one for the list: https://www.prepperfect.co.uk/ I’ve been eating from their menu for nearly 2 years now, love the service – having healthy meals in the fridge saves me from indulging in those cravings for junk food that come all too often!